Have you been searching for the best wholesaler supplier of winter hats? Are you a retail store looking for big discounts on wholesale winter hats, gloves, and scarves? Are you buying cheap winter hats in bulk for a charity, disaster relief agency or a church? Well, you just got lucky, because you just found the biggest bulk discounts on wholesale knit hats, wholesale pom-pom hats, wholesale toboggans and a vast range of great quality, low-cost wholesale winter hats and gloves! Wholesale Sock Deals is the top online wholesale supplier of cheap winter hats and gloves, wholesale knit beanies and plain beanies wholesale. We have a massive range of warm winter hats, including some of the best bulk deals on wholesale slouchy beanies, wholesale winter hats and blank beanies wholesale. 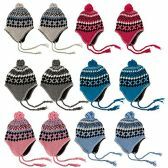 When you buy beanies in bulk from Wholesale Socks Deals, you get great quality wholesale hats at low wholesale prices. 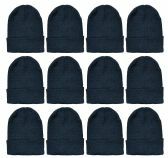 Just like all our wholesale winter accessories, our wholesale winter beanies are all on sale now at huge bulk discounts. Our wholesale winter hat collection contains the biggest range of wholesale beanies you will have ever seen. There are wholesale custom beanies, wholesale knit beanies, wholesale beanies with pom pom, and a whole lot more. 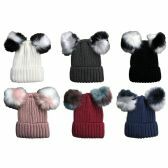 So, whenever you are searching for big discounts on plain beanies wholesale, wholesale cable knit beanies or wholesale beanies with pom pom, whether it’s for retail or for a donation, don’t forget to check out the wholesale winter hats collection at Wholesale Sock Deals. Place your order now for your bulk cases of blank beanies wholesale and save money with the biggest bulk discounts on wholesale winter hats on the web today! This must be the best collection of wholesale winter hats on the web! You won’t find big bulk discounts like these on wholesale custom beanies, wholesale toboggans and blank beanies wholesale anywhere else! Place your order now for your high-quality wholesale beanies made in USA, wholesale beanies with pom pom and wholesale slouchy beanies now and you save your retail store or charity big bucks! Wholesale winter hats, gloves, and scarves are always going to be big sellers in any retail store. They are also must-have clothing essentials for donations to churches, charities and disaster relief appeals. That’s why you mustn’t let this opportunity to buy cheap winter hats in bulk and plain beanies wholesale pass you by! Wholesale Sock Deals is the number one wholesaler of inexpensive apparel. 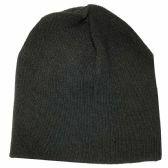 We have the biggest selection of inexpensive wholesale beanies on the web. Wholesale knit hats, wholesale cable knit beanies, wholesale beanies with pom pom; they are all for sale at the lowest wholesale prices in the Wholesale Sock Deals wholesale winter hats and gloves collection. 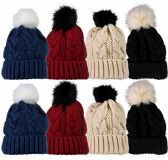 If you want the biggest bulk discounts on wholesale winter accessories, wholesale winter hats and wholesale pom pom hats, place your order now. You won’t find cheaper wholesale prices on blank beanies wholesale, wholesale knit beanies and cheap winter hats and gloves anywhere else! Whether you order one case of wholesale winter beanies or you order twenty cases of wholesale hats, when you buy beanies in bulk from Wholesale Sock Deals, we deliver your order to your retail store or warehouse for free. Take your pick now of the best wholesale knit beanies and plain beanies wholesale and place your order and you will get the biggest bulk discounts on wholesale beanies and wholesale winter hats today!